They are nymphs of the Underworld who always bear torches. They are magnificently powerful in witchcraft and can strike fear in even the strongest Immortal let alone humans. There is nothing they cannot accomplish with use of their magic and you will see they are explosive energy with strong vibrations. They can render a room or skin very hot and intense but for a short period of time. They can magnify and cultivate magic that you practice, cast or have enchanted on treasures to a great force. Lares are Roman spirits that provide, on a different level, protection & guardianship of a specific location. They are often companions to Watchtower Watchers as they can be commanded by a Watcher to guard a specific person or location. 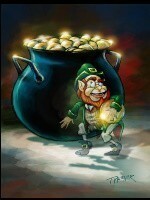 Leprechauns are Irish faeries. As a race they are vastly wealthy, having crocks of gold coins buried all across the world. They can be seen by humans and often are though humans aren't always sure of what they saw. They move quickly and usually you see a streak of color of the tail-end of their shadow. An Arctic race of Dragon who lived in Antarctica. They were lightning quick in movement, shrouded by their slightly chameleon skin that could change from a tan-ivory color to pure white. They were active most during the day, and would fall into a deep, hibernating sleep at night. Because of their deep slumber they would drill down into tightly packed snow, or ice, and make a bed, sometimes up to 20 feet below the surface. They were aggressive only when they hunted for food, gentle, and non-aggressive in normal behavior, and possessed the gift of foresight. As companions they are quite generous in helping their Keeper to attain their own level of foresight & intuition. A creature of powerful influence in Immortality the Loch Ness is an influence of all energies related to magick. Shy, elusive and moody the Loch Ness can be a bit of a difficult spirit from time to time but if you own any water nymphs, mermaids or Immortals bound to water you will see she provides comfort, guidance and protection for them. The Loxy are crossbreed of Faery and seahorse who companion the Merfolk of the Atlantic Ocean. It is believed they began life millions of years ago as little pixie-sized faeries who swam in the ocean and flew above the breaks of the waves to safeguard the Merfolk below. 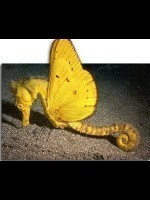 Over years and years they evolved and took on their current form of part seahorse and part Faery. They no longer fly above the ocean but stay well below the ocean's surface in bands of twenty or thirty. They stay close to the Merfolk and keep them safe from all danger. As they possess the powers of the seas and can deflect, control and persuade any creature in the salty water of the Atlantic they are incredibly powerful despite their size of no more than a foot in length as a fully grown adult. They companion mermaids, mermen and are the favorite companions of Merchildren... often Merchildren are given a Loxy at birth as a gift to be their lifelong friend. Have the Djinn of your desires summoned specifically for you. We call the perfect Djinn for you to complement your life, your dreams and aspirations. This listing is for an LUBABAH, female Djinn, meant to bring their Keeper Wishes & Desires. 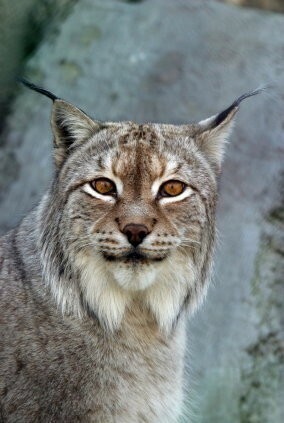 Lynx are known for their special connection through mystic channels. They are guardians of special powers, divination, and secrets. They provide their Keeper with psychic energy and power, the ability to see beyond the obvious, and the intrinsic knowledge of secrets. They are faithful & loyal to their Keeper, and they are eager to provide wisdom and guidance. The Malhaw are an extremely rare race of millions-year old beings who dwelled in the primal Earth and served as Oracles to the earliest species which existed prior to the human race. Capable of withstanding all the Elements and with roots in the Astral Realm, the Malhaw are revered and beloved, though rare in number. A Vampire strong in blood ties who possess witchery powers of magic. They could overcome any human or entity when they were on earth. As spirits they are capable of giving their Keeper strong psychic abilities and enhancement to physical attributes. They are very moody and are most typically malevolent but with proper control can yield magnificent powers. Manes encompass many Roman spirits of original Roman bloodlines to more recent of those lost. They are the guides, benefactors, helpful, and they protect the graveyards, cemeteries, and dead. Marid Diatma Djinn powers reach to the abilities of: Cleansing the Spirit & Aura, Protecting the Spirit & Aura, Fortify the Spirit & Aura, Cast off Negative Energies and Hexes, Heal the Spirit & Aura. Have the Djinn of your desires summoned specifically for you. We call the perfect Djinn for you to complement your life, your dreams and aspirations. This listing is for an MAS'UDAN, female Djinn, meant to bring their Keeper Good Luck & Fortune. 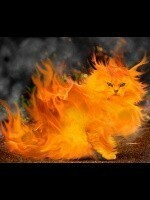 A Masheba is a cat of fiery flames that appears to greatest witches and warlocks. Once they have reached a level of extreme power and influence with their spells, castings, rituals and magic work they can call upon the Masheba. 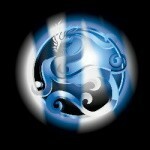 Maya Dragon©s are the hybrid offspring of a Blue & White Western Dragon. The Mazou are a herd of horse-creatures... they are the protectors of every living creature on earth being born of the earth of Eden. They are beautiful... strong and powerful guardians. Their names are Caljoy, Xander, Manda, Quazi, Tarji, Uva, Resa and Pala. They protect the creatures of the earth from the smallest insect to the largest mammal. It was written their neigh "Echoed a thousand valleys and as their hooves struck the earth it roared". They are the embodiment of POWER and PROTECTION. Their presence is little written about after the flood of Noah's time. At first many thought the Mazou had been taken in the great waters... their life no longer needed but... that wasn't the case at all. They were merely lifted into the skys for safety and they watched... ever-present... as each pair of animals exited the ark and began a new life. As the population of animals grew in number so did their presence and they became a fixture of written legend around the time of Charlemagne. Meloch (Mee-lauch) They were human hybrids of half-human and half-other (Elf, Vampire, Giant, etc) who started off as a sort of secret society, but as the number of hybrids grew so did their membership. They were sometimes turned out by their own civilizations for being hybrids and they found their common ground together. They were a community who nurtured the talents and abilities of their members rather than trying to make everyone the same. They had their own mercenary soldiers who would make vast amounts of money in being swords-for-hire. As spirit companions they are proud of their heritage and want to make you proud of yours too. They get along well with others because of their early teachings of tolerance, and they are quick to help you solve problems, nurture your own talents, and become a great person. Melusine & Melusino are female & male (respectively) Merfolk who reside in fresh water. 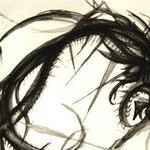 They are territorial, can be difficult to work with, and can also bestow great wealth, prosperity, and power. They work well with all other Merfolk, though they prefer the company of their own. They are extremely adept in providing assistance with human lives. They can be busy-bodies, and extremely in your face, and like to be involved in anything that requires socializing with others. They bring you a close connection to the fresh water Element, and to the creatures who reside within the fresh water. They are unique as a race of Merfolk. Mermen are typically depicted as half-men (on top), and half-fish (on bottom). 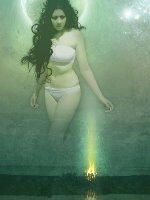 They are sensuous, enjoy chasing mermaids and mortal women when in contact with them, and brutish. They are hard-working and keep the balance of the sea exerting force over sea creatures when needed.